By Raymond T. (Tom) Elligett, Jr. If the Second District Court of Appeal had a softball team, some might think that team had just picked up a ringer. And they might be correct, except that Judge Tony Black’s significant athletic ability did not factor into Governor Crist’s selection. Instead it was Judge Black’s legal acumen, contemplative approach, and sterling reputation as a trial judge that led to his elevation. Originally from the Midwest, Judge Black earned an accounting degree from Arizona State University, graduating in 1978. While working for two years in Price Waterhouse’s Chicago office, he became a certified public accountant. From there he attended the University of Illinois College of Law, entering private practice in Chicago. In 1985, at the urging of law school classmate and friend Jim Goodwin, he came to Tampa to work for Macfarlane Ferguson. 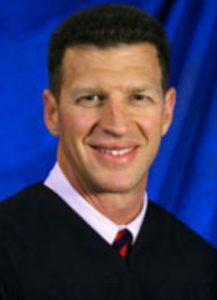 Judge Black and another Illinois classmate, Bill Jung, formed Black & Jung in 1993, where Judge Black practiced until 2000. Judge Black had a solo practice until 2002, when Jeb Bush appointed him to the circuit bench in Hillsborough County. While in private practice Judge Black became board certified in Civil Trial Law, and as a mediator. He received an AV rating from Martindale Hubbell and taught business law as an adjunct professor at the University of Tampa. He also represented several NFL football players as a certified sports agent. Judge Black has served as the President of the Tampa Bay American Inn of Court, and as a director on the boards of the Hillsborough Association for Women Lawyers and the Abe Brown Ministries. His interests include travel and long distance running, having competed in several marathons. 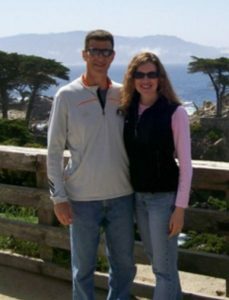 This past April, Judge Black completed two marathons on two coasts in one week, completing the Boston Marathon on April 19, and the Big Sur, California Marathon on April 25. Another recent and significant change for Judge Black was in his marital status, convincing wife Colette to marry him three years ago. At his investiture, he recognized Judge Jim Whatley of the Second District for encouraging him to apply to the Second District, and for introducing him to Colette. Colette now practices with Bay Area Legal Services, and is on the Hillsborough County Bar Association Board of Directors. Judge black and his wife Colette in front of the Lone Cypress Tree on the 17 Mile Drive in Pebble beach, California. Judge Black observes that the main difference between judging on the appellate bench versus the trial bench is that as an appellate judge, he has more time to think about his decisions. He appreciates the time to consider his decisions, because he understands that his written opinions are going to be scrutinized and relied upon. He appreciates the difficulty that trial judges face because of the volume of important decisions that have to be made quickly in order to keep the wheels of justice turning. As far as advice for appellate litigants, Judge Black cautions that as with all aspects of the practice of law, there is no substitute for thorough preparation. Judge Black brings a broad range of experience to the Court. Beyond his accounting and civil litigation experience, he sat as a circuit judge in the felony, family law, and juvenile dependency divisions. And, if they do start DCA softball teams, in the words of John Fogerty, put him in coach, he is ready to play.